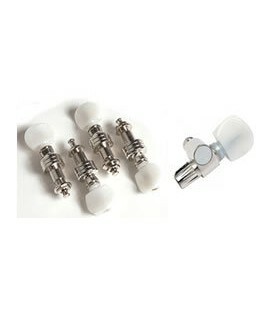 Brand new banjo tuning pegs to replace old banjo tuners with new planetary banjo planet pegs. 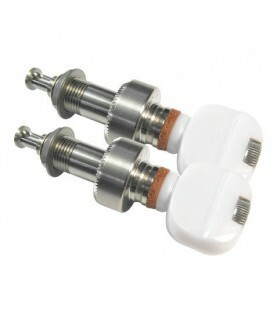 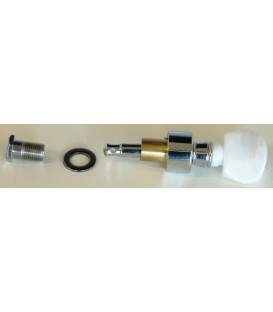 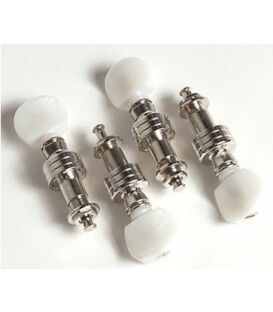 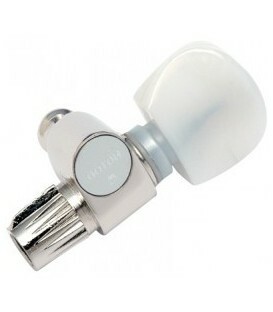 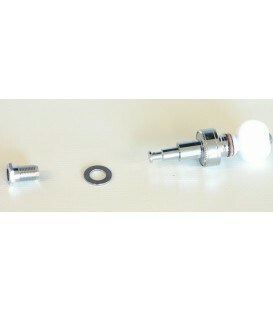 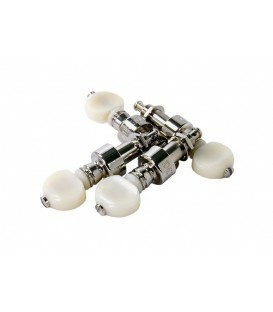 Replace or upgrade a set of 5 banjo tuners, a set of 4 Banjo Pegs or just one planet banjo peg. 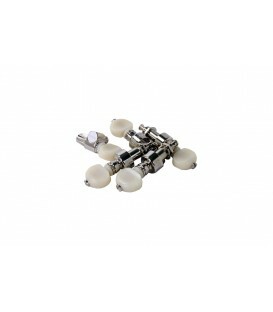 These planet pegs for banjo fit all standard bluegrass banjos and the major majority of open back, 4-string tenor and plectrum banjos. 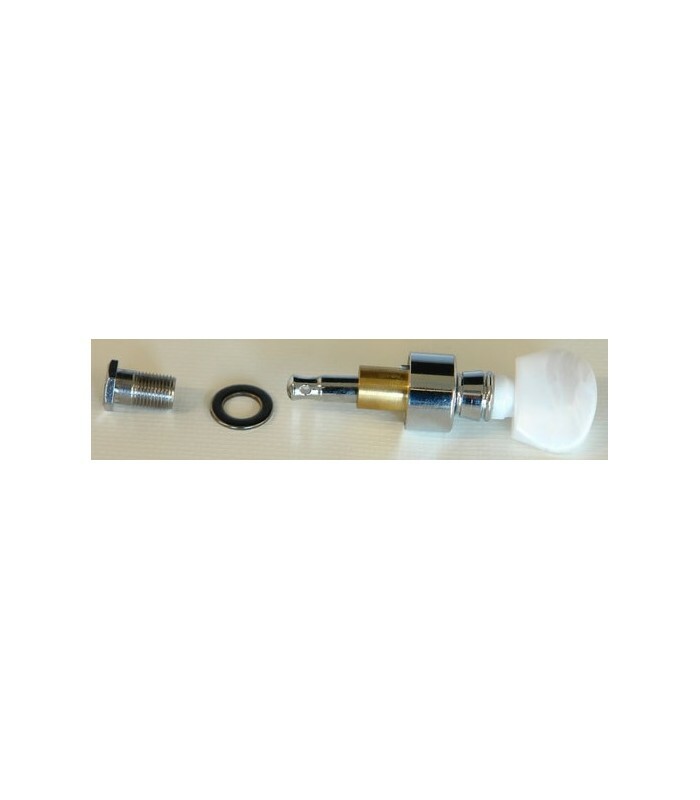 I can reassure that even if on your banjo the tuning peg hole was just slightly larger than a snug fit, there is a strong nut that holds it tight even if the peg is not super snug before tightening. 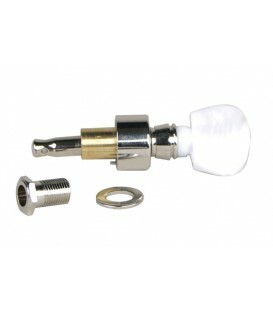 If the hole was too tight, the hole can easily be made larger with no damage to the peg head. 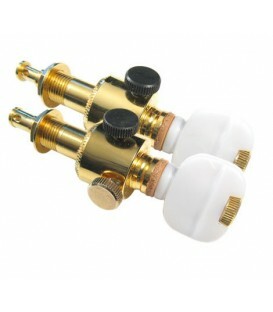 For further reassurance, we accept returns on replacement tuning pegs and the tuning pegs warrantied.